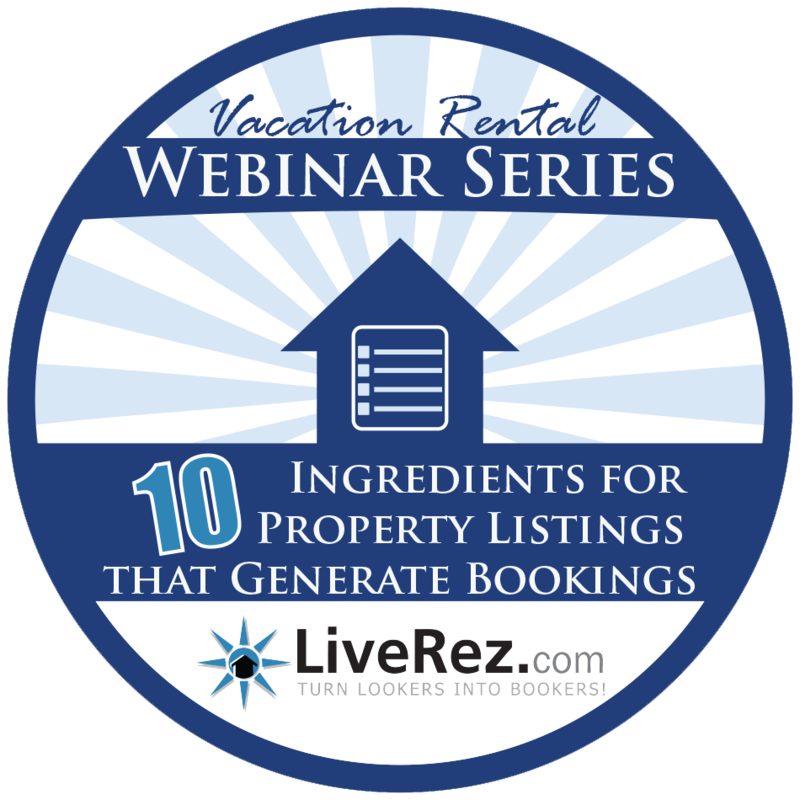 The first webinar in LiveRez's 2014 webinar series will cover the "10 Ingredients for Property Listings that Generate Bookings." LiveRez’s free vacation rental webinar series is back in 2014, with a host of installments designed to help professional managers take their business to the next level. Currently, we have six webinars planned, and we’ll be announcing another five in the coming weeks. The webinars will focus on a wide variety of topics from marketing and sales to owner acquisition and retention, and more. The webinars are open to all professional managers. Our first installment is next week on Wednesday, Feb. 19 at 2 p.m. Titled “10 Ingredients for Property Listings that Generate Bookings,” this webinar will show you the essential components of a listing or property page that gets results. To register, click here. And for a complete list of this year’s webinars, check out our webinars page. And, make sure to check back soon as we’ll be announcing those five additional webinars soon.